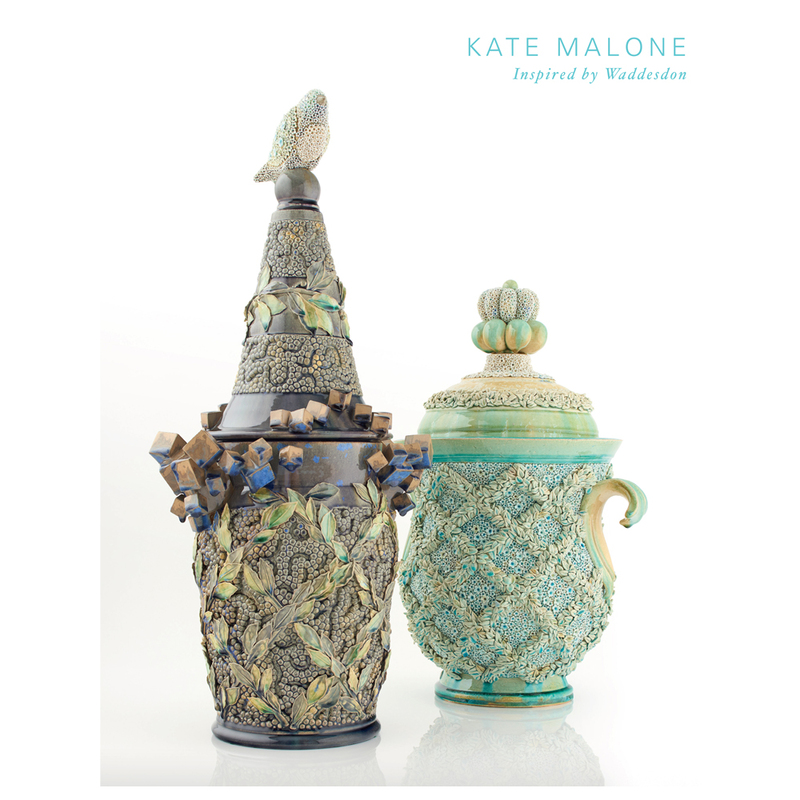 Kate Malone is a studio potter, ceramic artist and judge on BBC2’s The Great Pottery Throw Down. This catalogue exemplifies the artist’s captivation of the gardens, collections and archive at Waddesdon. She has drawn inspiration from many elements, including Sèvres porcelain, works on paper and passementerie (decorative tassles, braids and fringing) and from the theatre of gourds and squashes created every autumn at Eythrope, the nearby private garden created by Alice de Rothschild in the late 19th century. The catalogue includes an essay by Dame Rosalind Savill who discusses Malone’s use of materials, colour and form in connection with Waddesdon.